Who was Captain Kidd and why did he become famous? In class, we briefly discussed Captain Kidd, and I tried to explain why he was so famous. I didn’t do Captain Kidd justice. So here’s an explanation of who he was, and just why he became so famous. We don’t know much about Captain William Kidd’s early life. He was probably born around 1645, according to tradition in Greenock, the port for Glasgow, Scotland. The first we hear reliably of him, in 1689, he was a buccaneer in the Caribbean. And just like Morgan, he was working with the government, which made him a privateer, not a pirate. [i] He played a role in a successful raid on a French island that gained Kidd personally £2,000 in booty. Not bad. Not bad, except that Kidd’s crew mutinied while he was ashore, and turned piratical, which is to say they ceased to operate under the legal protection of the English government, and declared themselves “enemies of all mankind” (save other pirates). They sailed off with Kidd’s ship, and, worse yet, Kidd’s £2,000. But the Nine Years’ War (1688-1697) raged, interfering with trade. The New York economy was depressed. And maybe Kidd just couldn’t settle down. He decided to sail to London in 1695 and see if he could get a commission as a privateer to attack England’s enemies. He figured that with the sponsorship of some prominent colonial friends and his buccaneering history, it would be easy. It wasn’t. 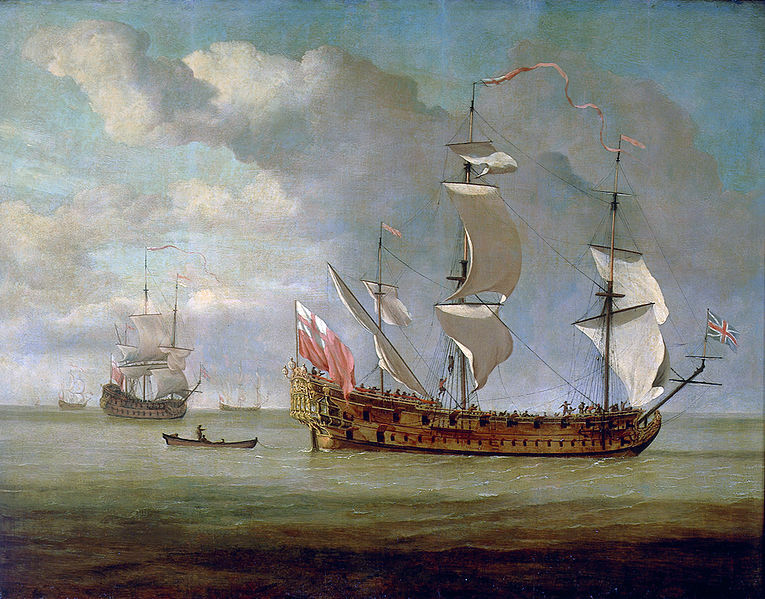 The Royal Navy was expanding to meet the realm’s military and commercial needs during the war, and had ceased to give out commissions for privateers, because it wanted all the experienced seamen for itself. But Kidd lucked out. By various means, he won the sponsorship of several of the powerful leaders of the Whig party, which was in power just then. But these men didn’t want to be bothered by any piddling little privateering commission, no. They were after bigger game. They’d heard how Thomas Tew and Henry Every[iii] had made fortunes as pirates. There was said to be a whole community of pirates on Madagascar. Just think of all the loot they must have! The Whig leaders decided that what they wanted was to send out a ship and go hunt pirates. They’d put up the money, Kidd would sail the ship, and they’d split most of the profits when he got back. [iv] They even arranged that anything Kidd seized from the pirates, which would presumably be stolen goods, would not have to be returned to their rightful owners; Kidd and his Whig sponsors would keep all the loot they took from the pirates. Easy money! What Kidd thought about this at the time is not recorded. He’d been a buccaneer, he knew that pirates weren’t usually rolling in gold, and he knew how hard it was to find ships in the ocean. So he may have had his doubts from the beginning. Who knows, maybe the whole scheme was a cover for something illegal. But on paper, at least, Kidd was off to hunt pirates. His ship, the Adventure Galley, an unusual vessel carrying 34 guns that used both sail and oars to propel itself, sailed from England in 1696. Kidd stopped in New York to hire on more men, and set a course for the Indian Ocean. For Kidd, it must have been a sweet time, the deck of his own ship under his feet, the sponsorship of influential politicians behind him, and the prospect of pirate booty ahead of him. Then it all went sour. Once he got to the Indian Ocean, Kidd couldn’t find any pirates at Madagascar just then. Instead, he turned pirate himself. Like Every, he made a big score, taking a rich trading vessel called the Quedah Merchant in 1698. Along with some other lesser prizes, Kidd made some decent money. Each crew member received between £500 and £1,500; Kidd’s share must have been around £40,000. Kidd was no Every, but he’d be bringing back enough money to pay off his backers and take some loot home for himself. Unfortunately, his piracies had not gone unnoticed in India. The Mughal Empire blamed the British, and put the screws to the British East India Company. “John Company” had to grin and bear it, because, after all, Kidd was English. [v] But they sent complaints back to London. And in London, their supporters used Kidd’s piracy as a political weapon to attack the Whig leadership. The Whigs, who thought they’d been clever and were going to make an easy profit from Kidd’s voyage, found that Kidd’s whole mission was becoming a political albatross around their necks. His commission was unusual, and looked just like the sort of political corruption it really was. [vi] His activities had damaged the East India Company. The opposition could even claim that Kidd’s commission was actually against the best interests of the realm. [vii] And if he had indeed turned pirate . . . well, the very fact that he had been sent out as a pirate hunter was a sign that England wasn’t going to tolerate piracy anymore. For their pirate hunter to turn pirate, well, that was too much. The Whigs decided that Kidd wasn’t worth the political damage he was causing them. Maybe, just maybe, if he brought back enough loot to spread it around, they could make it right. But otherwise they were determined to make him the sacrificial lamb for the whole scheme. Kidd got wind of some of this. He knew his piratical activities hadn’t gone unnoticed. He knew the East India Company hated him. And he got some idea from letters he received from New York[viii] that his powerful friends might not be so friendly anymore. So he decided to stage a cover-up. He destroyed his logs and let much of his crew desert to another pirate ship. [ix] And before he returned to New York in 1699, he made some earlier stops to off-load some of his booty, to make sure he’d get his share and to use it as a bargaining chip with his now-reluctant sponsors. One of Kidd’s Whig sponsors was governor of New York and Massachusetts. He invited Kidd to meet him in Boston. Once Kidd arrived, he was thrown in jail, and then sent back to England for trial. By this time, Kidd’s name was so notorious, and the Tory opposition was so concerned about keeping the Whigs from staging a cover-up, that they had Kidd summoned before Parliament to be questioned, twice even! 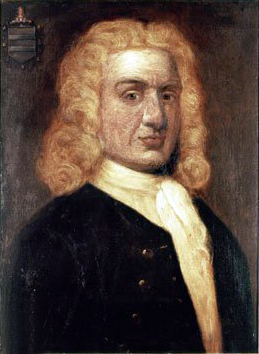 Kidd argued that he had only acted as a privateer, but Parliament wasn’t having it. The East India Company wanted his head, the Tories wanted to use him as a weapon against the Whigs, and the Whigs would rather see him hang than defend him. [x] He was tried, convicted, and executed in 1701. 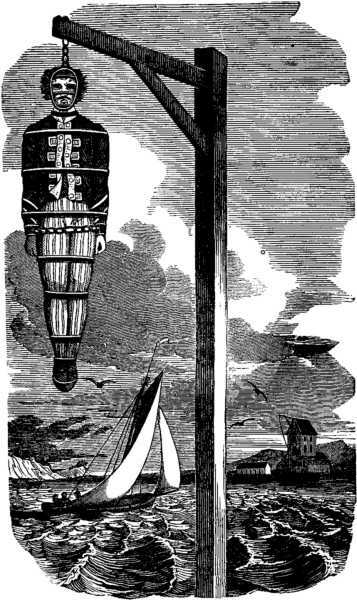 And so ended the life of Captain William Kidd, a victim of changing times, political maneuvering, and his own bad judgment. From this account, you can understand three of the reasons why Kidd became famous. He was a pirate hunter who had turned pirate. His name was linked with Tew and Every and the other Indian Ocean pirates who had gained fabulous wealth. Finally, he was summoned before Parliament, a rare “honor,” one I’m sure he would rather have foregone. However, there is one other reason why Kidd became famous, especially in America. The Whig sponsors of Kidd’s voyage were disappointed by how little booty Kidd had when he returned from the Indian Ocean. They were only able to recover £14,000, which was peanuts compared to what Every had taken. They wondered if Kidd had hidden some of the loot. Kidd’s actions immediately prior to his return to New York suggested that he had turned over some of his loot to friends in New York or New Jersey. And Kidd himself suggested that he had indeed hidden much of the loot, and that there was still as much as £100,000 where he had hidden the Quedah Merchant in the Caribbean. Maybe he did hide some of the loot, but maybe he was just using the hope of more loot to obtain his freedom. Certainly the Quedah Merchant had been stripped bare before he left it in the Caribbean, so that part was definitely a lie. That he kept suggesting to his Whig sponsors that they give him a ship to go salvage what was left on the Quedah Merchant suggests he was looking for an escape. 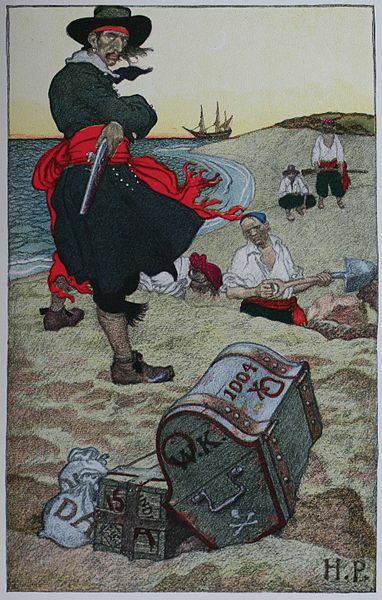 Which pirate did Howard Pyle show burying treasure? Why, Captain Kidd, of course! The idea that Kidd had secreted his treasure took hold. Maybe it was in the Caribbean. Maybe it was somewhere in the Hudson Valley. Maybe it was in the “Money Pit” on Oak Island in Nova Scotia. But it was there, somewhere, waiting for some lucky person to find it, dig it up, and enjoy extravagant wealth. So there you have it. Kidd was a buccaneer, a failed pirate hunter turned pirate, and a patsy in a political intrigue that cost him his life. Politics made him famous. Treasure has kept him so. [i] Just a reminder that a privateer is basically a licensed pirate: he is allowed to go after the commerce of enemy nations, but only that of enemy nations, and he will be protected by his nation’s laws. Pirates operate outside every nation’s laws. [ii] Sarah Bradley Cox Oort had been married twice before, and after Kidd’s death would marry once again. She also had at least three children. In an era when men typically buried their wives, often because of complications in childbirth, Sarah outlived all her husbands and died in 1744. [iii] Remember him from the first class? He made possibly as much as £600,000 from taking the Ganj-i-sawai in 1695. [iv] Crew members got shares, too. In fact, they sailed under a “no prey, no pay” arrangement, typical for privateers and pirates. What was unusual was that Kidd & co. got such a disproportionately large amount, 40 shares, when the average hand got just one. [v] Okay, Scottish, but he was sailing on an English ship under an English commission. That made him English. [vi] Never mind that almost everyone used political office for private gains. The key was to do it quietly through successful ventures and to pay off enough supporters and opponents that no one wanted to prosecute you. [vii] By siphoning off experienced seamen, by not compensating the legitimate owners of the pirate goods they seized, etc. None of the terms of Kidd’s commission were unprecedented, but they looked sinister in light of Kidd’s piratical activities. [viii] Possibly the most amazing aspect of life at sea in those days is that people ashore and on ships did successfully communicate with each other by letter. They’d frequently have to send out several copies on different ships, the letters might get lost or turn up in the wrong place, and the news would be months old. But people did communicate this way. Kidd got news of some of the political developments from his New York friends while in Madagascar. [ix] Ironically, the ship was commanded by one of the men, named Culliford, who had mutinied against Kidd in 1689. This didn’t keep Kidd and Culliford from having a swell time together in Madagascar. For a man who was trying to cover up his piracies, hanging out with Culliford was simply not a bright idea. It would count against Kidd at his trial. [x] Indeed, they may have greased the skids by conspiring to withhold evidence that would have legally exculpated Kidd of charges of piracy against two vessels. This entry was posted in Pirates and tagged Captain Kidd, Captain William Kidd, history, Madagascar, piracy, pirates, treasure, William Kidd on January 31, 2015 by Brian Bixby. So is this the origin of the Buried Treasure story associated with pirates? It may indeed be the origin. “Treasure Island” is usually taken as the source, but Kidd’s treasure antedates Stevenson’s book by most of two centuries. American author Joseph Ingraham helped sustain the legends of Kidd’s treasure in the mid-19th century by writing two novels in which Kidd figured. Perhaps Stevenson read one of them. Have they found anything in the Money Pit on Oak Island? Last I checked, apart from a TV franchise, not really. Supposedly another artifact or two has cropped up. Judging from what I’ve read, by now the treasure, if it exists, may have sunk so deep that it might cost more than it’s worth to recover it. But that will never do for romance, now, will it?